On her latest record, Traveling Alone, Tift Merritt examines the emotional implications, both internal and external, of life’s various journeys. Simultaneously bold and vulnerable, the writing on the album has been hailed as the Grammy-nominated tunesmith’s finest to date, a work of unflinching honesty. The ideas of traveling and discovering a sense of place have long been thematic cornerstones of Merritt’s work, dating back to her 2002 debut, Bramble Rose, and are especially prominent in her more recent works, Another Country (2008) and See You on the Moon (2010). Equally key to the Americana songwriter’s style is the straightforward,often conversational tone she adopts in her writing. That gift for gab is a skill that serves Merritt well in her other gig as the host of the monthly interview radio show, “the Spark,” for KRTS 93.5, a public radio station in Marfa, Texas. Over the course of the program’s five-year history, Merritt has chatted with a wide array of musicians, writers and artists about their work. Guests have included Roseanne Cash, Nick Hornby and, most recently, Andrew Bird — the last of whom shows up on Traveling Alone. In advance of her performance at the Higher Ground Showcase Lounge this Thursday, January 31, Seven Days caught up with Merritt by phone. SEVEN DAYS: One of the interesting things about “the Spark” is this idea of eavesdropping on two artists discussing their craft. As an artist, you take a different tack than, say, a journalist might. How do you approach those interviews? TIFT MERRITT: I’m not a journalist. I’m not a cultural critic. I’m just interested in having a conversation about making work and making your own way, and the highs and lows of that. I like to spend time with someone else’s work. I think it’s really important you give work outside of yourself the same quality of attention you might give your own work. And I like to think about what people are getting at, what they’re trying to do, and why. And then I get to sit down and talk to them about that. I just learn a lot about creativity. I need to have that conversation. SD: Where did the idea for the show come from? TM: The first time I went on the road, I got kind of lonely. And part of that was that I needed to have that kind of intense conversation. And when you’re on the road and with your band all day in the van, and then you talk to strangers at night, you don’t always get to go to that place. So it was really important to me to figure out how to have that conversation. And this has become a great way to meet someone and have the ability to ask all those hard questions right away. SD: Are there aspects of those conversations that you apply to your own work? TM: Absolutely. I learn something every time. And it’s often something that seems to come just at the right time. There is something really beautiful about the fact that the “Spark” is just me. I do the whole thing all by myself. It’s not there to make money, though, of course, we all wish that thing we love to do just made money. But it’s a very self-contained little thing. I learn from it. I love it. And I seek out people who are doing what I’m doing in their own way. And I always come away from it going, “God, I love my job.” Actually, I have to spend time working on the “Spark” this afternoon. I’m so glad you reminded me how important it is! SD: You’re welcome. In the last episode with Andrew Bird, you spoke about the mysteries of language and drew a distinction between his more impressionistic lyrical style and your own style, which tends to be direct. Can you elaborate on that? TM: His writing is very open and open- ended, and sometimes uses words as symbols. Like the song, “Nomenclature.” He’s using words in a phonic sense, words as rhythm. And that’s even more important than the meaning of the words. He’s pointing to bigger things, but you’re not really sure what he wants it to mean. It can mean a lot of different things. Me, I am very interested in saying something very specific and precise in a very simple way. I want to get to the heart of it and I want to put my finger on it. And through that I hope it opens to something bigger. But it’s through specificity. I’m also very interested in writing in a very conversational tone. You say something with, hopefully, a fair amount of profundity that sounds as if it could have fallen out of the mouth of your postman. I think that’s such a lovely place, and I really like to live there in my work. SD: I’m glad you brought up the idea of conversational tone. One of the tracks that struck me from the new record was the duet with Bird, “Drifting Apart,” which is literally a conversation between former lovers. TM: I didn’t write it with the idea that it would be a duet. But once it started simmering, it seemed to be this back and forth. And the conversational tone was important because it’s not a high-drama kind of song. It’s a man and a woman simply talking to each other, stating facts, and having it be devastating in that way, rather than shouting at each other. SD: I think that’s what makes the song so effective. There’s a coldness about it. TM: And that is on purpose. I think the essence of drifting apart is a lack of emotion. And I wanted the song “Drifting Apart” to have that, and the fear that implies and the sadness and helplessness it implies. It’s not the moment of fighting, it’s the moment after that. SD: Yeah … well, I’m sufficiently depressed now. 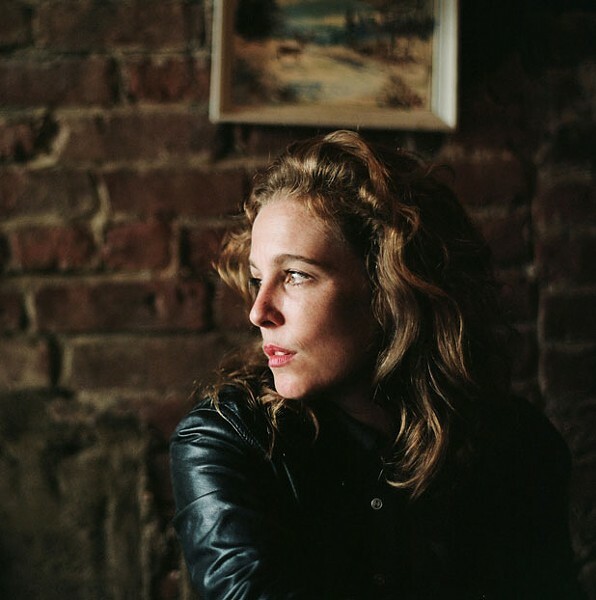 Tift Merritt plays the Higher Ground Showcase Lounge in South Burlington this Thursday, January 31, with the David Wax Museum, 7:00 p.m. $16. AA. The print version of this article was headlined "Talking Points".